Hidden away just behind Sydney’s busiest road and down a corridor off Australia’s biggest morgue, lie 250 sets of human bones whose origin until now have been shrouded in mystery. Stacked up in an underground room about the size of a suburban kitchen, the skeletal remains lie in cardboard boxes which hold the mysteries to hundreds of murdered or missing persons. The room is inside the Glebe morgue, Australia’s biggest and busiest mortuary which carries out the post mortems of all major disasters, accidents or crime incidents in the state of NSW. 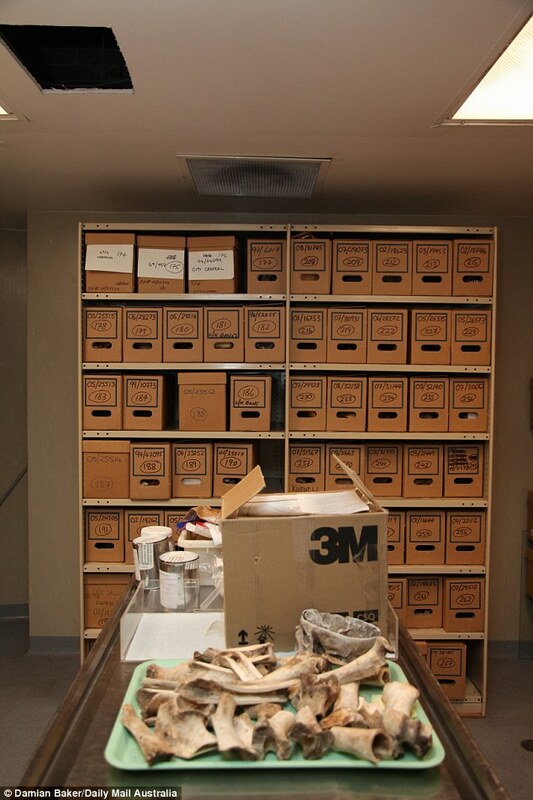 The boxes in the Bone Room are marked with the place where the bones were found. Three carboard boxes contain remains found in the Belanglo Forest, the killing field where Ivan Milat murdered seven backpackers and where police have searched for further remains.